The most impressive planar speaker I have ever heard. I love the sound. This system is stunning! Sound is real, it involves you in the scene, you feel instruments and musicians in front of you. 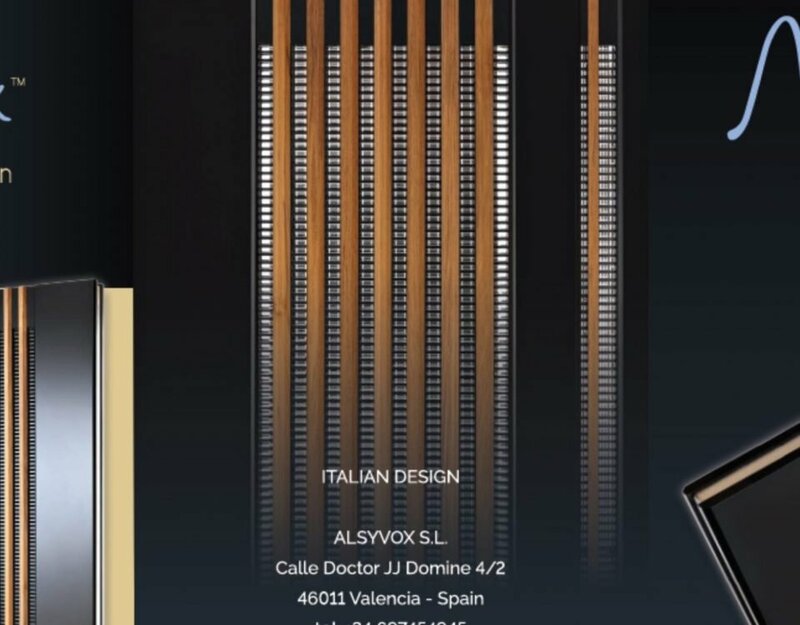 Alsyvox: an Italian masterpiece! I hope to own one once!!! Ariosità, spazialità e realismo ascoltato nel miglior sistema qui al Marriott. Amazing. Le plus belle ecoute du salon. What a nice introduction! Congratulations! Ancora una volta l’eccellenza italiana non ha bisogno di ostentazioni e fronzoli. Grandi elettroniche, ottimizzazione dell’ambiente strepitosa. Complimenti! La più bella sala della mostra HiFi, ottimo il suono per il timbro e la ricchezza armonica, dinamica e transienti come dal vivo!! Bellissima messa a punto, complimenti. Cette démo est la plus belle que j’ai jamais entendu, et j’ai 30 ans d’expérience! The best of the best room in Munich! Audio Concepts has realized live sound as it is in a concert, I like to enjoy for hours and hours. Thank you Maestro! Sounds even better than it looks! I am very impressed! Magnifique, le plus belle ecoute du salon! Uno dei migliori impianti mai sentiti, anche rispetto al MOC. I had never heard such a superlative bass frequency by an isodinamic speaker. The best until now! One word after the demo. I was left speachless, contratulations, Bravissimo! Best sound of the show, by a significant margin. Great room, great recordings, great knowledge. Thank you! AND FROM ALSYVOX A HUGE THANK YOU TO ALL THE KIND PEOPLE THAT CAME TO OUR ROOM AND ALLOWED US TO LIVE SUCH A WONDERFUL EXPERIENCE!